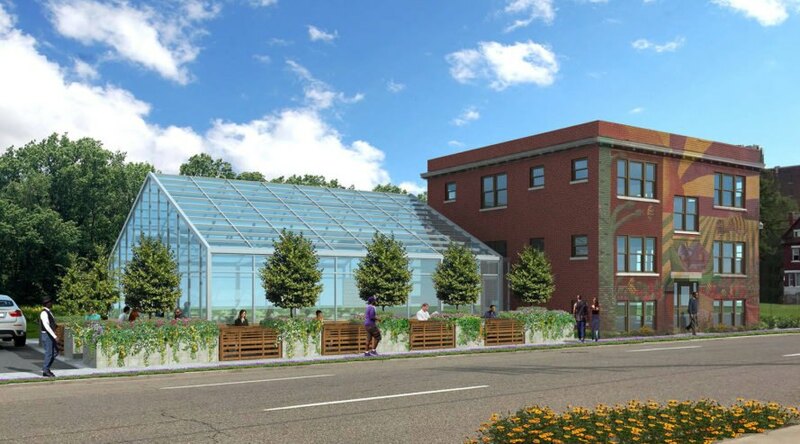 Michigan Urban Farming Initiative is debuting a three-acre sustainable urban agrihood. 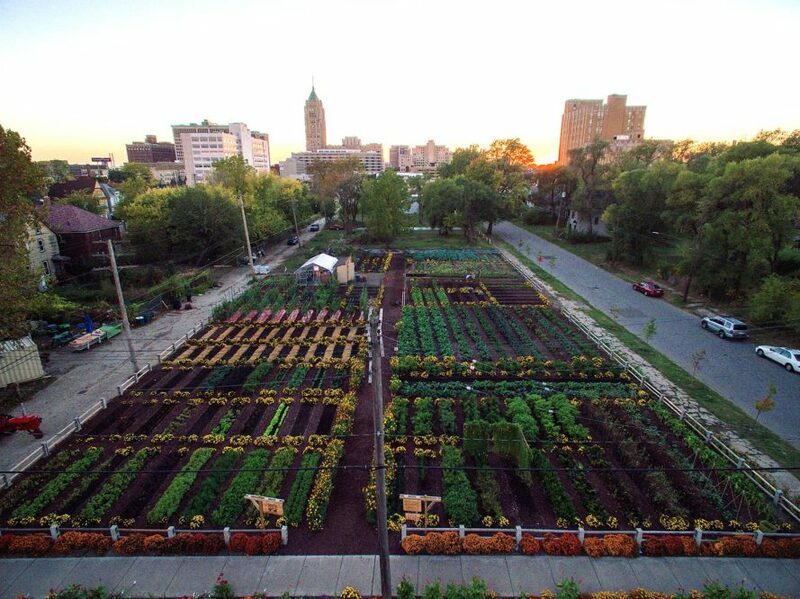 This aerial shot captured by a drone shows the Michigan Urban Farming Initiative agrihood farm. 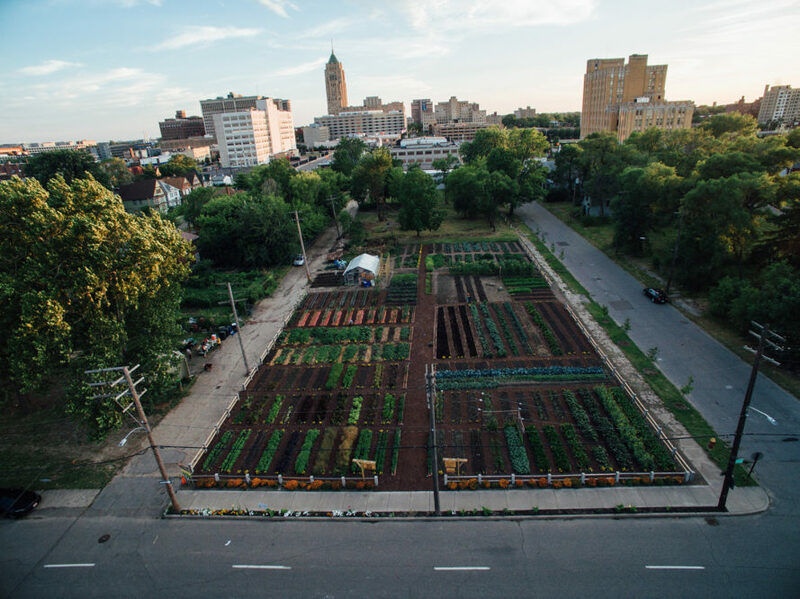 The agrihood includes a two-acre urban garden and an orchard with 200 trees. Michigan Urban Farming Initiative is also restoring a vacant building into a Community Resource Center.